A unigue work from Benton's set of tables, chairs, benches, and stools. Three different sets were created including hot rolled steel (rusted), cold rolled steel (unrusted) and stainless steel. 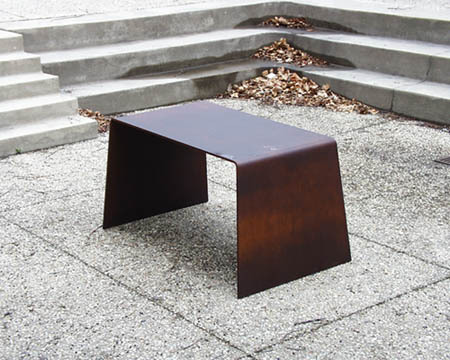 : Scott Burton, “Table for Four,” Ohio Outdoor Sculpture Inventory, accessed April 22, 2019, http://oosi.sculpturecenter.org/items/show/982.